What is the Output Format of the Question Papers Generated? 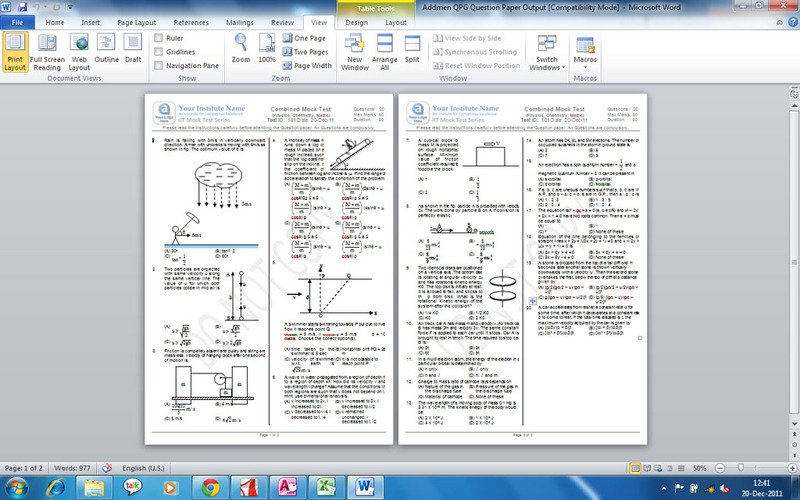 The test papers created using the test paper generator software can be exported into Word format or Excel format for printing them onto paper sheets. A soft copy can be stored in a tabular format for incorporating into the question bank as part of an online test system. How to Create Test Sheets in Multiple Languages? You can even generate bilingual or multi-lingual question papers. Simply import the Word document containing a list of questions and answers in a tabular format. 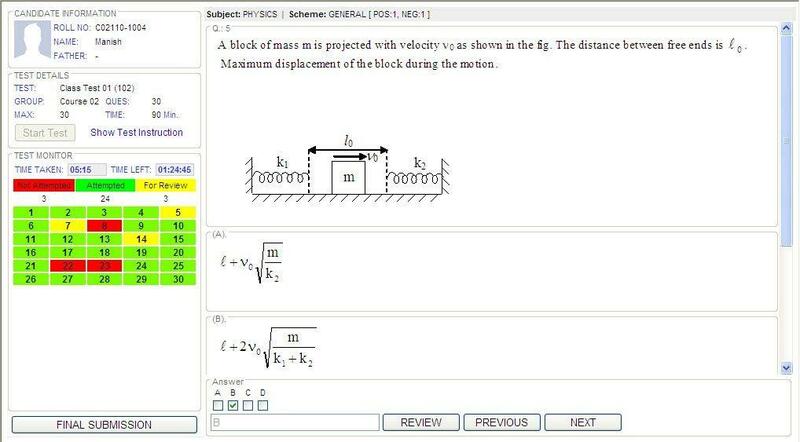 Use the Test Generator to shuffle and select the desired number of questions for the test. 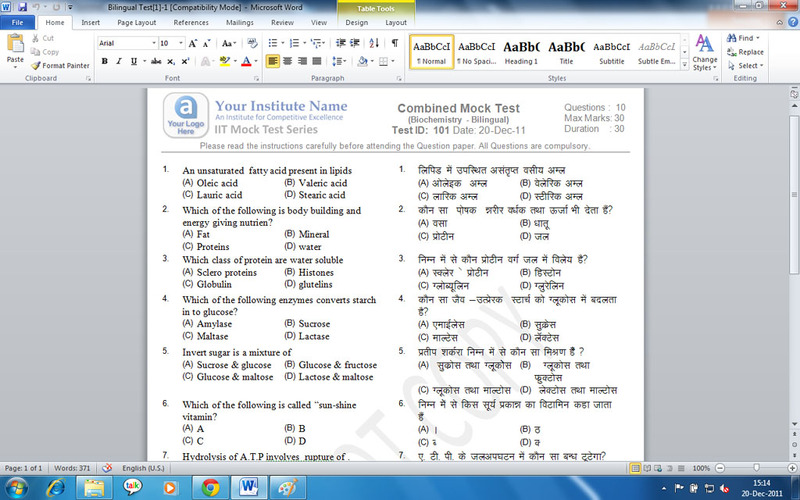 You can create question papers in many languages, including Hindi, Marathi, Gujarati, Tamil, Telugu, and even Arabic. The output file of a bilingual test paper will contain the same questions in both languages, and they will be arranged in two separate columns. Can we Use Numbers Instead of Alphabets for Numbering the Answer Options? Yes. 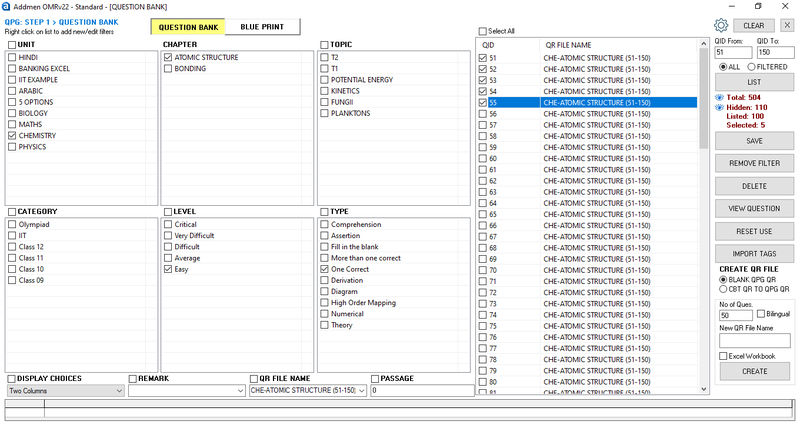 You need to alter the settings in the paper generator panel to obtain your desired numbering style, such as: (A,B,C,D) or (1,2,3,4) or (i,ii,iii,iv) etc. Can we Print Watermarks and Logos on the Question Papers? Yes, you can introduce watermarks and your institute logo onto the test papers while you create the output word template. You can make changes to the size of the header and footer; set page margins; set the alignment of questions; and finally include your logo and the watermark as desired. How to Obtain the Classification Details of a Question in the Test Paper? Classification tags can be set using the test preparation software, to facilitate convenient tag-wise sorting of all the questions in the generated test paper. The software also allows you to map the shuffling order of the questions while you’re creating multiple sets of tests using the same question bank.